As Vikash Singh looks forward to 2018 he is also looking forward to witnessing his education in action. Specifically how his background in medical research, artificial intelligence and machine learning — along with a $5,000 UCLA Global Citizens Fellowship award and some innovative thinking — may potentially help save lives in Cameroon. Doctors at the HSPC Polyclinic in Kumba, a city located in the country’s southwest region, will soon begin uploading patient information to a software application designed by Singh and a team of student programmers through Project DataReach, a company Singh launched in 2015 with funding provided by the Stamps Foundation Scholarship program. The student programmers, who attend various universities, include Singh’s roommate Matthew Khanzadeh, a fourth-year computer science major who served as a lead engineer on the Kumba project. The application’s reporting and data visualization capabilities will help health care professionals at the clinic gain a more complete picture of the health of their community as it pertains to non-communicable diseases, including heart disease, diabetes, obesity, asthma and hypertension. This, in turn, can help them identify disease patterns, mitigate potential outbreaks, develop strategies for education, prevention and determining who may be at risk for these health problems. “This partnership represents the first clinician-integrated, machine learning pipeline in the history of Cameroon, and even one of the first, as I understand, on the African continent,” said Singh, a senior majoring in computational and systems biology at UCLA. Singh described machine learning as a subfield of computer science and artificial intelligence that focuses on the design of systems that can learn from and make predictions based on data. With so much attention being paid to the prevention and treatment of infectious diseases, there is a tendency to forget about noninfectious illnesses, which are increasing in frequency worldwide, said Frankline Nsai, a health care specialist at Songhai Labs, a Cameroonian organization that aims to transform African societies through the exchange of knowledge and innovation. Singh and Project DataReach have been working with Songhai Labs for more than a year to bring this technology to Cameroon. “The arrival of this application is timely to help doctors identify the risk of someone developing a non-communicable disease in the nearest future and then taking precautions to avoid or reduce the risk,” Nsai said. 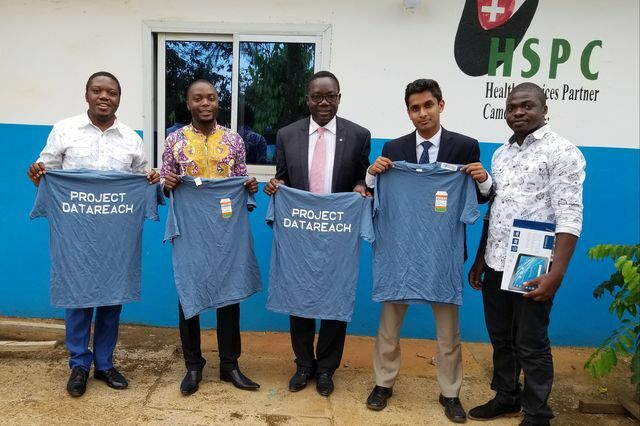 Courtesy Vikash Singh - Vikash Singh, second from right, spent three weeks working with medical professionals at the HSPC Polyclinic in Cameroon this summer. In addition, Singh is currently in discussions ;with representatives from Cameroon’s Ministry of Health about implementation strategies for a second software application that would track communicable diseases such as monkeypox, malaria, typhoid and yellow fever. This application would allow data from the districts to be collected and shared in real-time and help the Ministry of Health flag major health problems and respond more quickly, hopefully mitigating outbreaks. Currently, regional medical offices must wait for outbreak information to be tracked and flagged at the federal level, Singh said. At this time, the federal agencies are beginning to transition to electronic recording of infectious diseases cases, however there is a lack of advanced analytics in implementation as far as outbreak and disease spread prediction, he said. Omolola Ogunyemi, an associate adjunct professor of radiological sciences at UCLA and an associate professor of preventive and social medicine and director of the Center for Biomedical Informatics at Charles R. Drew University of Medicine and Science (CDU), serves as a faculty adviser to Singh and Project DataReach. 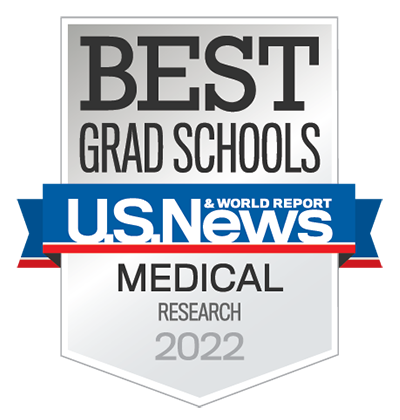 Much of Ogunyemi’s work relates to the use of machine learning and computerized decision support to improve the quality of care in medically under-resourced communities. Singh has never known a time in his life that didn’t include UCLA. He was born at the former UCLA hospital (now the site of the UCLA Center for Health Sciences), raised in University Village apartments, brought to campus regularly by his parents, who moved to Los Angeles from India to pursue their post-doctoral fellowships, and he is now preparing to graduate in June. Singh’s mother, Shehla Pervin, is an associate professor-in-residence of obstetrics and gynecology and a member of the UCLA Jonsson Comprehensive Cancer Center. His father, Rajan Singh, is also an associate professor-in-residence of obstetrics and gynecology in the David Geffen School of Medicine at UCLA and a member of the cancer center. Both currently hold dual appointments at UCLA and CDU in the division of endocrinology and metabolism. A family trip to India at 15 which resulted in he and his sister having to be hospitalized upon their return to Los Angeles after contracting typhoid fever, turned an experience into a desire to act. 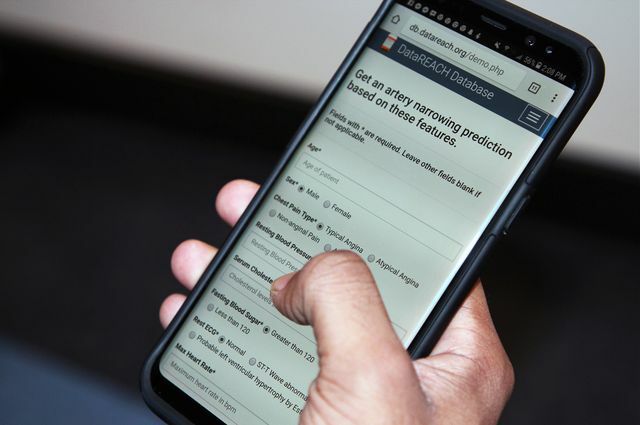 Rebecca Kendall/UCLA - An app developed by Vikash Singh and his company, Project Datareach, will help health care providers identify disease patterns and mitigate potential outbreaks. After returning to high school, he began working with breast cancer researchers at UCLA and CDU on projects that examined how the tropical African herb Vernonia amygdalina affected cancer, and the relationship between breast cancer development and Arginine metabolism. His work culminated in co-authored papers published in the journals PLoS One and Anticancer Research. Following high school graduation, he also became a student researcher at Cedars Sinai Artificial Intelligence in Medicine program under the mentorship of Dr. Piotr Slomka, a professor-in-residence of medicine at UCLA who is based at Cedars-Sinai Medical Center. It was there Singh became excited about the possible impact machine learning could have on health care. Singh, who is also a UCLA Regents Scholar, a Gold Shield Alumni Scholar, a student director in the City Fellows program and the creator of the first predictive analytics pipeline for Heal, described as a “doctors on demand” service, knows that having enthusiasm and possessing the necessary educational background and experience is one thing, but he says the difference between having an idea and having an opportunity to successfully execute it, especially as an undergraduate, can boil down to whether a student has funding. “I was able to do this because of the UCLA Global Citizens Fellowship,” said Singh, who used his $5,000 fellowship to fund his flight and accommodations and buy four tablets, a laptop, technical and logistical supplies. Singh said he will soon look for funding to support his work in the long term. Back in Cameroon, Singh’s collaborators are excited for the potential impact this pilot project will have at home and throughout the continent. “With his vision to extend Project DataReach to other African countries, this can be a game-changer in the health field throughout the continent,” Nsai said. Now in its fifth year, the Global Citizens Fellowship has previously helped to support a medical clinic in Uganda, educational programs in Ecuador and Zambia, sustainable farming in Togo and raising awareness of First Aid and CPR in Romania. Applications for the next Global Citizens Fellowship award are due Feb. 2, 2018.